The WCAG 2.0 is a technical standard created by the World Wide Web Consortium (W3C), an international community that develops standards for the internet and websites. They provide the bronze, silver and gold standard (A, AA and AAA) for making sure websites don’t discriminate against Americans with disabilities by not being easily usable by assistive technology for the visually and hearing impaired. According to Title III of the Americans with Disabilities Act (ADA), businesses can’t prohibit discrimination on the basis of disability in places of public accommodation. That includes the Internet. Yeah, it probably affects your business. Technically, this affects every business with a website. The Department of Justice, which enforces the ADA, gets more official complaints every year. Industries that have been targeted by these complaints include: hotels, restaurants, resorts, banks, retailers and commercial real estate. Aside from government-run websites, these industries need to worry the most about compliance. 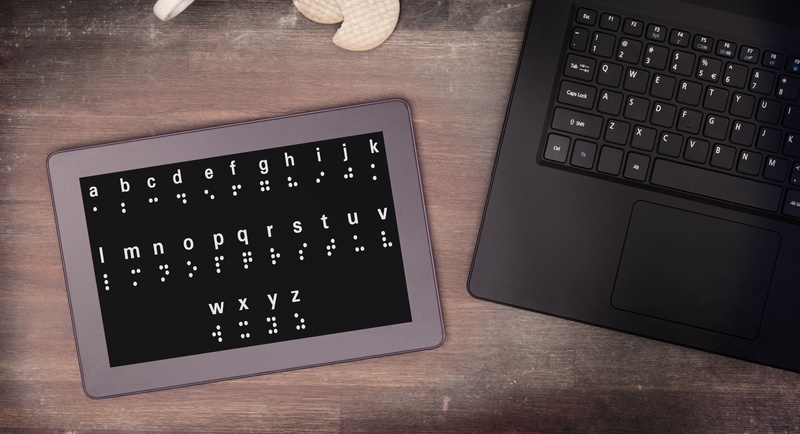 Basically, if your business is subject to the same ADA compliance rules that require handicap accessibility ramps and elevators, or braille signage, you need to have a compliant website as well, with options for the visually and hearing impaired. What If Your Site Isn’t Compliant? If you really want to see how your site stacks up to these guidelines, there is a WACG testing software tool that’s being used to screen sites for compliance. And there are many companies that specialize in making sites compliant if the guidelines prove too rigorous for your current IT and web development staff. They can be found here, along with every technical standard your developers will need to know. Basically, there are 12 main guidelines and testable success criteria for each that classify accessibility into three levels: A, AA, AAA (good, better and best). The Department of Justice has generally accepted the AA rating as compliancy for most businesses. Through consistent following of best programming practices, assistive devices and tools can determine name and role of content components including form elements, links, pop-up windows, etc. Sooner or later, this is going to affect you. Getting compliant may be a cost you were unprepared for, but the price is probably less than a class action lawsuit. And that’s already a very real consequence. Get your web staff familiar with these guidelines and keep on top of changes. You, and all of your customers with disabilities, will be thankful that you did. Click the button below to view or print our Basic WCAG 2.0 Requirements in Simple(ish) Terms.